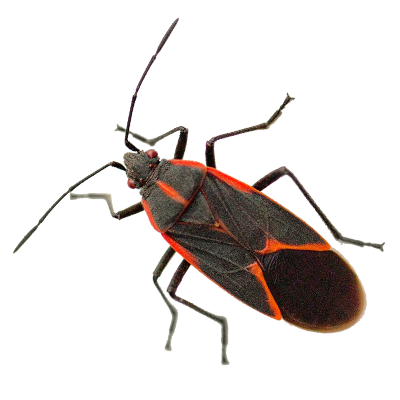 Box elder bugs are found mostly on boxelder, maple and ash trees, but sometimes other plants. They are black or dark brown in coloring with red on their wings and abdomen. They are about .5 inches long. They are mostly active in the fall months, entering structures to find shelter for the winter months.